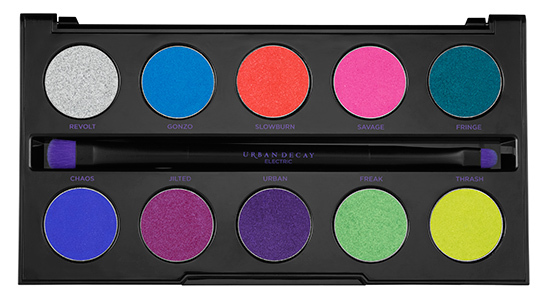 Urban Decay Electric Palette Dupe! 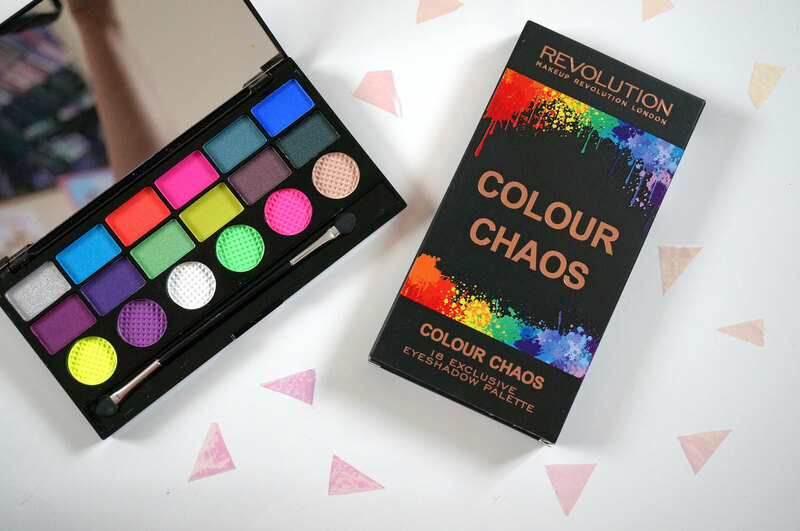 Makeup Rev Colour Chaos Review! 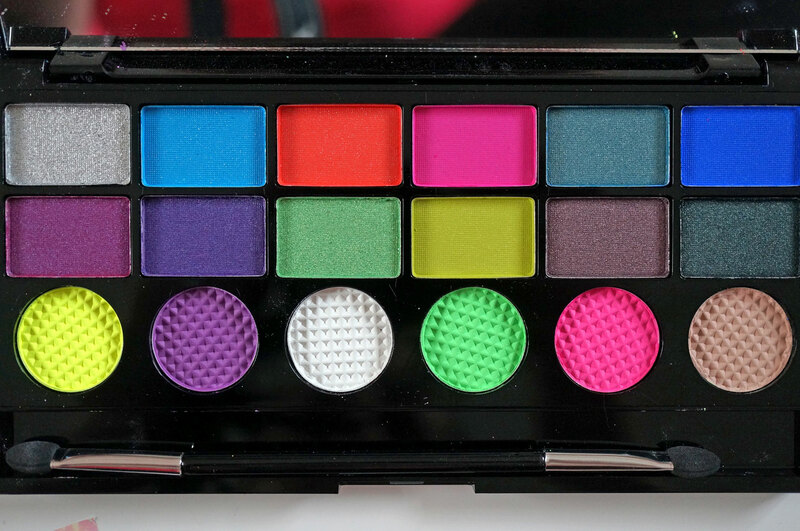 As with the other Salvation Palettes, this one includes 18 shadows in varying colours and finishes, and it costs just £6. Making each shade only 33p! Woo hoo! 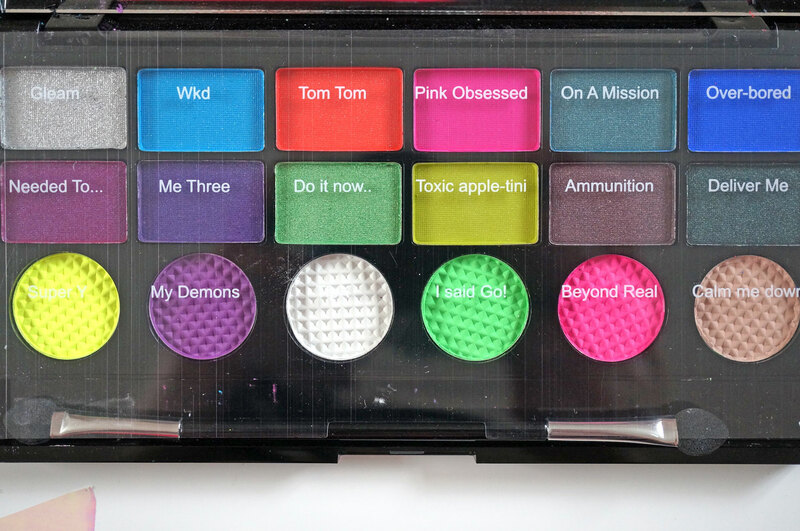 just look at all the amazing shades and imagine all the looks that could be created with this palette! Ok I just thought I’d throw in a quick pic of the Urban Decay Electric palette, so you can get an idea of shade comparison. If you follow the colours across, you’ll see the Colour Chaos shades are EXACTLY THE SAME, just with two extra shadows added on the end of the second row, and a whole extra row of shadows too underneath. This cannot be a coincidence! Ok so onto the actual shadows. 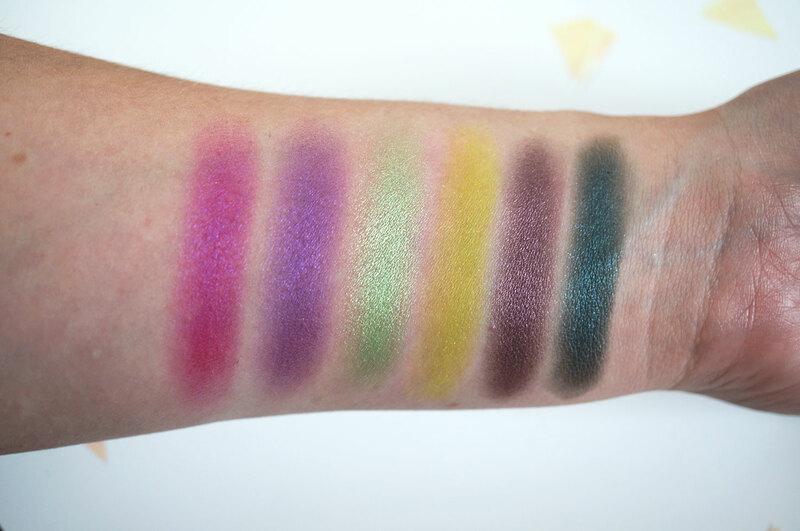 First up we have the top row – I was really surprised with how absolutely amazing the pigment was in these shadows! 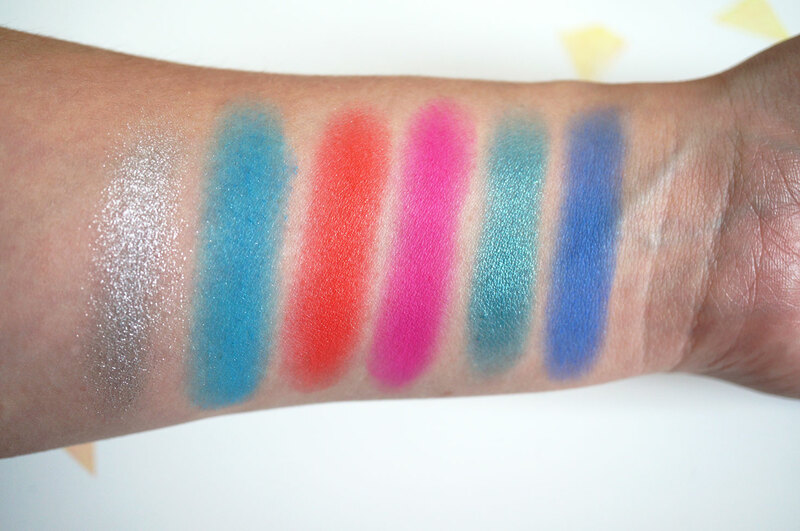 The previous I Heart Makeup Sin Palette I reviewed had a couple of matte neon shades in too, which turned out to be a bit disappointing – they looked great in the pan but didn’t come out very well when swatched. But just look at these bad boys! The shimmer shades are awesome and so are the mattes, I’m super impressed!! Next up we have the middle row. 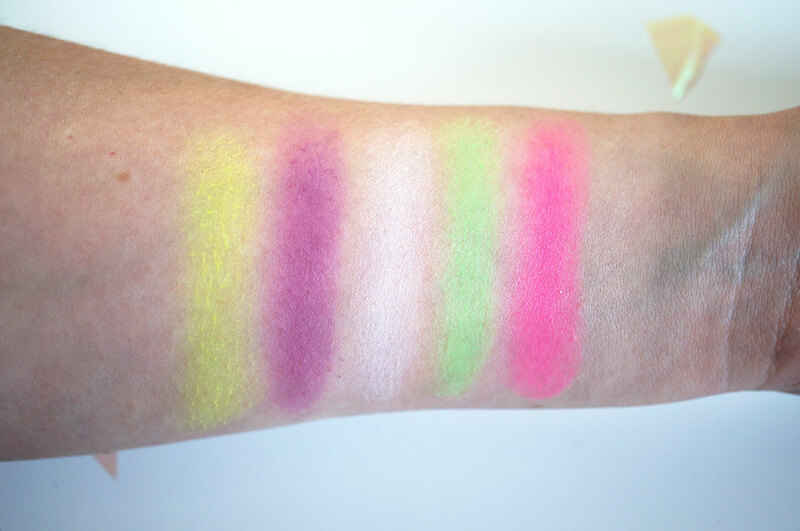 The only slight disappointment here was Toxic Apple-tini, which took a whole lot of build up to give decent pigmentation on the swatch, otherwise all’s good for this row of shadows too! I love Do It Now, it’s such a gorgeous unusual shimmery green. And lastly the bottom row. Again I have to say I didn’t get my hopes up for these shades as they all have matte finishes, and I’ve learned that Makeup Revolution mattes are often no where near the same quality as the shimmers. Unfortunately I was proven right with these shades, they were pretty chalky and it took a lot of swatching to build the colour up to the intensity that you can see below. So overall yes you could say some of the shades aren’t that great, but there are at least eleven good to excellent shades in here which surely has to be worth £6? I think if you’re interested in brights and especially neons it’s definitely worth buying. Also the colour Chaos palette is obviously the perfect dupe for the Urban Decay Electric palette, so for £6 it’d be crazy not to give it a go! Previous Post Brooke Shields Collaboration with MAC Cosmetics Announced!